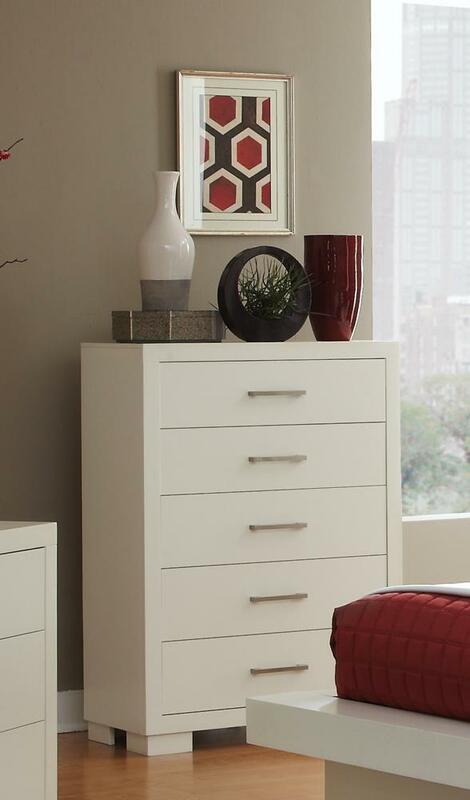 The Jessica white chest is crafted from solid wood and select veneers in a white finish. Features fully extendable drawers with ball bearing drawer guides and dove tail construction. Also offered in Cappuccino finish. 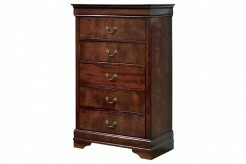 Furniture Nation is proud to offer the Jessica White Chest online. 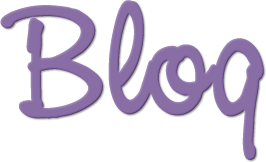 We serve customers across the DFW region including Irving, North Richland Hills, Frisco and many more. L36" x D17" x H49.25"